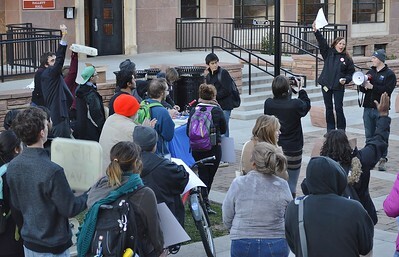 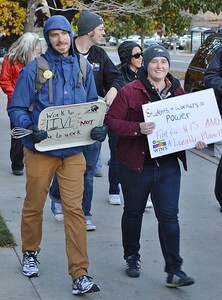 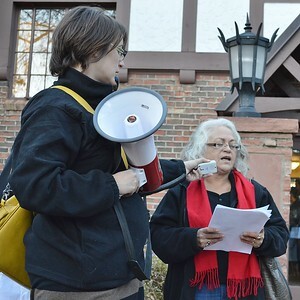 Members and student supporters of Colorado WINS rallied then marched to deliver petitions for a $15/hr wage to a University of Colorado representative in Boulder. 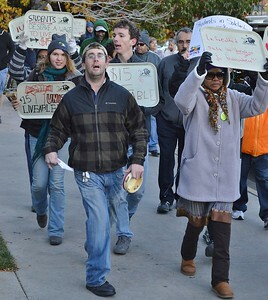 Union members and supporters marching for $15/hr wage at the University of Colorado in Boulder. 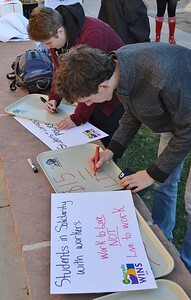 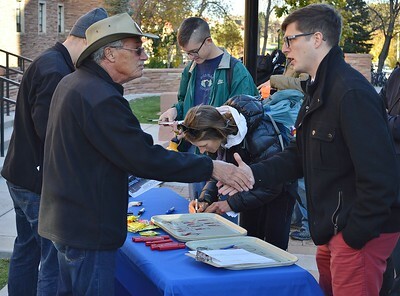 Union supporters making signs for a rally for a $15/hr wage at the University of Colorado in Boulder. 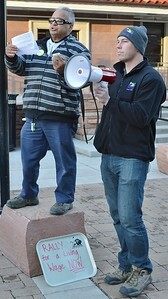 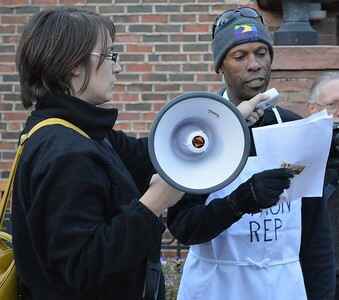 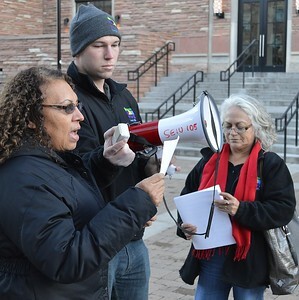 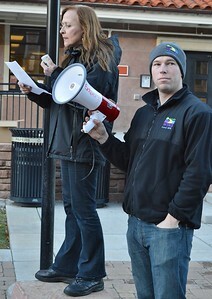 Union activist speaking at a rally for a $15/hr wage at the University of Colorado in Boulder. 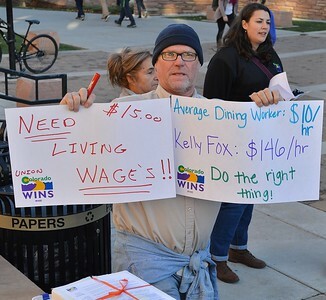 Union activist delivering petitions for at $15/hr wage to a University of Colorado representative. 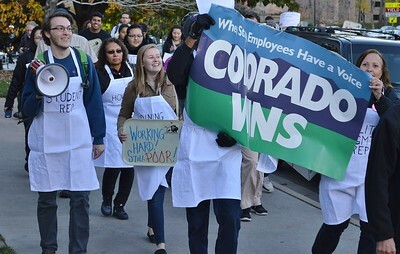 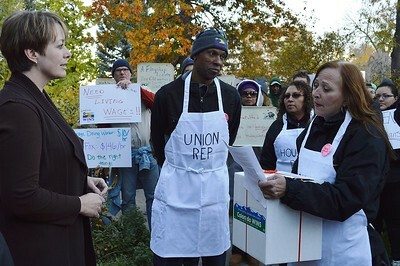 Colorado WINS members staffing a table at union rally for better wages. 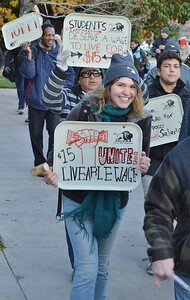 Union member holds up sign in Spanish, supporting a $15/hr wage. 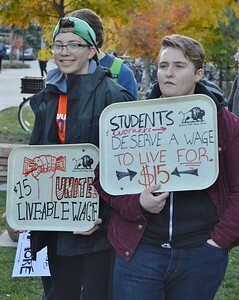 Students were among the supporters of a $15/hr wage for staff at the University of Colorado in Boulder. 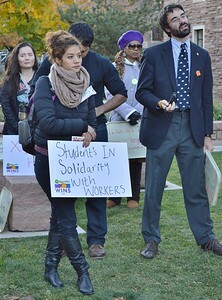 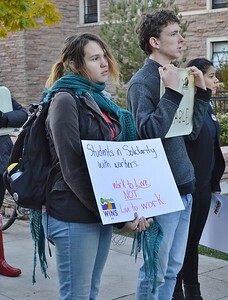 Union members and student supporters listen to a speaker at a rally for better wages at the University of Colorado in Boulder.